These are sweet. 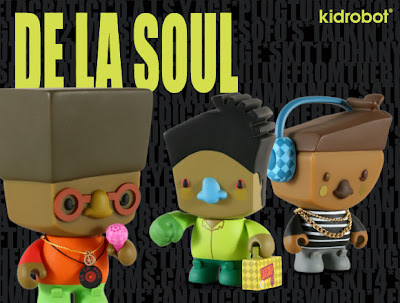 To celebrate the 20th anniversary of their debut album 3 Feet High and Rising, hip-hop pioneers De La Soul teamed up with Kidrobot to create this limited edition set of 3-inch figures. Drops March 18.